Neighbouring departments are Rocha to the East, Lavalleja to the North and Northwest, and Canelones to the West. It's limited to the Southwest by the Río de la Plata and to the Southeast by the Atlantic Ocean. 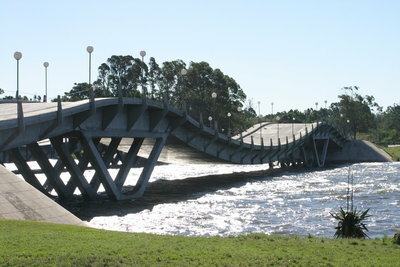 Several creeks flow through the state, most of which are tributaries of the River Plate: the Maldonado, José Ignacio, Garzón, Pan de Azúcar and the Aigua. Near the coast several lagoons are found: del Sauce, del Diario, José Ignacio and Garzón. Punta del Este is an upscale vacation spot on the southern tip of Uruguay, southeast of the town of Maldonado and about 140 km east of Montevideo. Punta Ballena o Punta de la Ballenais a geographical feature placed in Maldonado Department.(Uruguay). 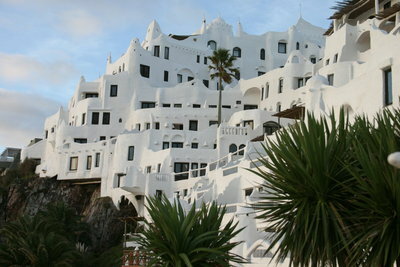 Punta Ballena is located 18 km from Punta del Este and 115 km from Montevideo. Here you find the very famous casapueblo. At 3 km we can find the Sauce Lake, and near from this we can find the International Airport. 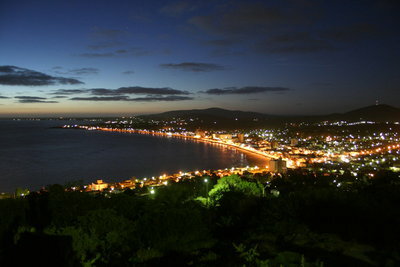 Piriápolis is a coastal city located in Maldonado, Uruguay, an hour's drive east of the national capital, Montevideo. 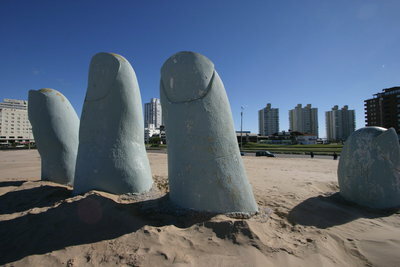 It is a summer resort in the country, predating the larger and more popular resort town of Punta del Este. 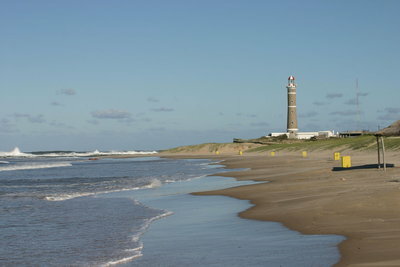 José Ignacio is a small beach placed in Maldonado Department of Uruguay, 20 min. far from Punta del Este. The official name is Pueblo Garzón because of the faro built in 1877.This place is important, exclusive and quite and the most famous people from argentina like and came to this place. The Barra of Maldonado is a beautiful inlet that flows from the back bay area of Maldonado out of the Atlantic Ocean. 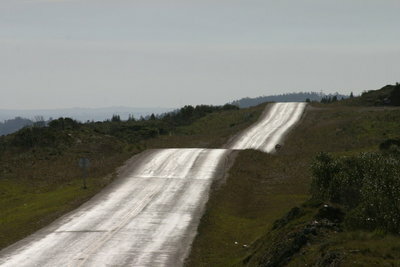 Ruta 12. Entrance of the Mansion of Roberto Giordano. The ombú is a massive evergreen herb native to the Pampas of South America.